Even those few moments alone with the two of them made me appreciate my mom that much more because the age difference between Kalena and Amelia is the same as the age difference between me and Kirsta. But she also had boys who were 4 and 6. Crazy. 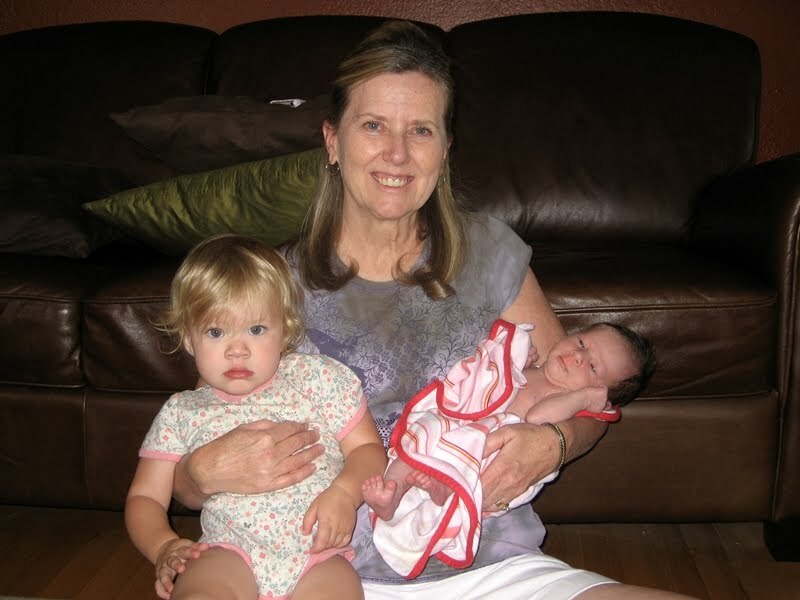 Here’s my mom with the babies. She’s a professional. P.S. There’s another picture where Kalena is smiling, but I just think her expression in this one is great. Do you think it’s an indication of how she’ll react when this baby is born? Ah,19 mos apart. You live through it at least…even if you don't remember many details. It really shouldn't be bad – Eli and Tate are 21 months. So far Eli has dumped Tate out of the bouncy seat and pulled his hair just once each.